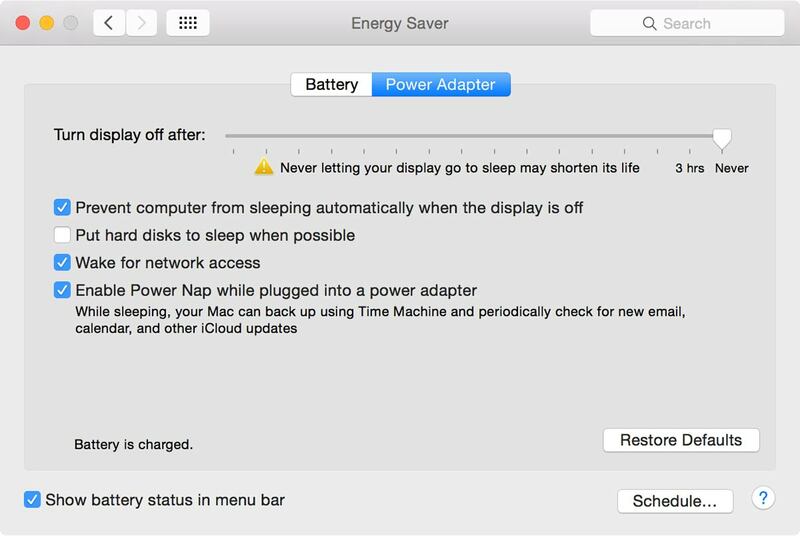 After you install a new battery in a Mac laptop, the next step is to calibrate the power management system. Your new battery to achieve its fullest charge capacity. Your new battery to reach its full lifespan. The system to accurately display the battery level. Tip: You may have more life in your stock battery than you think! 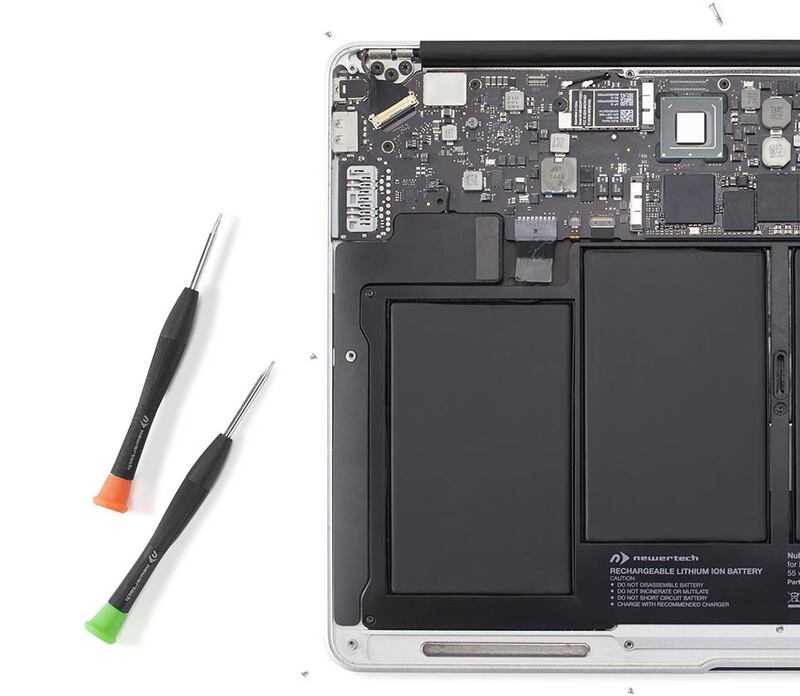 You can also use this power system recalibration guide with the stock battery that came with your Apple laptop. Calibrating The Power Management System Is Easy To Do. 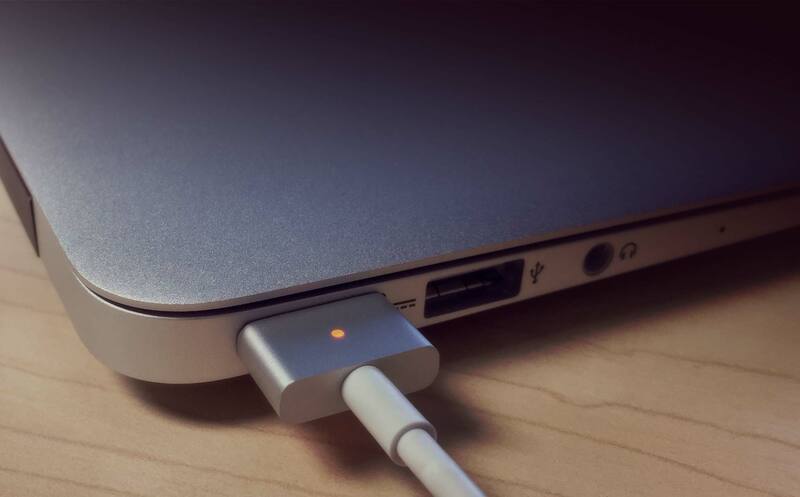 To ensure the new battery is properly installed, turn the computer on without the power adapter connected. If the computer starts up normally, the battery is properly installed and you can proceed to Step 2. If the computer does not start up, please double-check the battery install instructions to ensure it's correctly installed. Shut down the computer and then connect the power adapter. 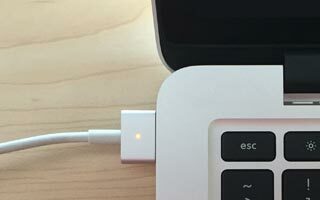 Keep the computer plugged in until the light on the power connector turns green indicating a 100% charge. After the battery is 100% charged, keep the power adapter plugged into the computer for an additional 2+ hours. The computer can be powered up and used during this time. If the computer is off, you'll need to turn it on. 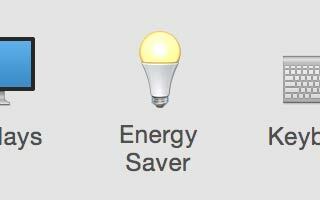 In OS X System Preferences click on the Energy Saver preferences. 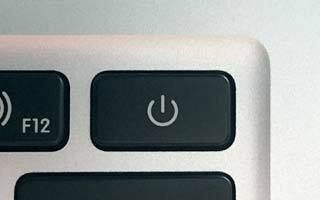 Set the "Turn display off after:" slider to "Never"
Various Mac models may have two sliders for "computer sleep" and "display sleep". 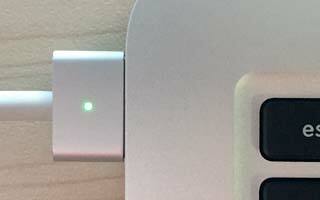 If you have two sliders, simply slide both to the right to set them to "Never"
UNCHECK "Put hard disks to sleep when possible"
UNCHECK "Slightly dim the display while on battery power"
Note: The location / existence of certain settings may shift or vary depending on your computer model or OS version. CHECK "Prevent computer from sleeping automatically when the display is off"
Note: this setting may or may not be available depending on your model or OS version. Leave the computer on until it automatically shuts down. 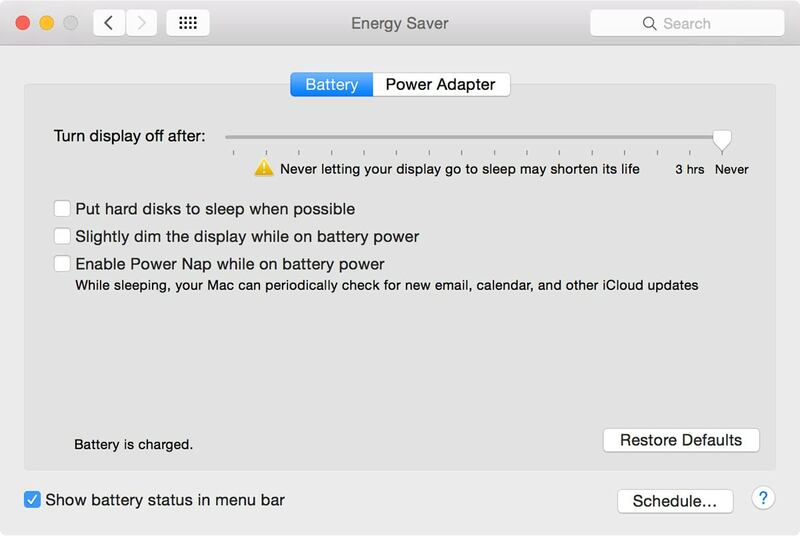 You can use the computer during this step, but don't put the computer through heavy use to deplete the battery faster. Steady, even usage is better for power system calibration. After the computer has automatically shut down, leave it shut down for at least 5 hours or overnight. This will ensure the battery is completely drained of energy. 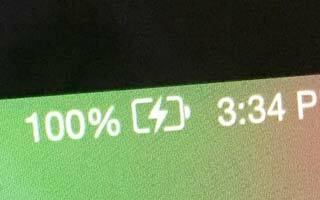 Plug the computer back in until the battery is 100% charged. 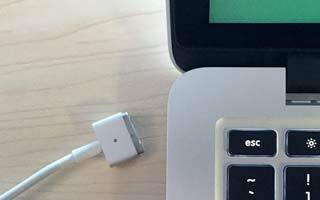 While plugged in, the computer can be used. This is also a good time to go back and select your desired Energy Saver preferences. After this essential calibration, the new battery will be able to achieve its fullest charge and reach its full lifespan, and the system will display an accurate battery level. You can also reuse these steps to recalibrate the power management system every few months if desired.